Sounds like the introduction to a brilliant Janet Jackson track, but no. It’s better. In this note, I want to tackle quickly, swiftly and simply one of a broadcaster’s biggest downfalls in managing their on-air execution, conversationability, and sense for always delivering a natural and real link. Where do you as a broadcaster understand the lines of control in group conversation, a two way dialogue, or even a self-served monologue? “The plight of the conversational broadcaster” – as I like to refer when watching both amateur and experienced broadcasters time and time again, show after show, animated link after animated link – never grasp what mindset it takes to, and wait for this – always execute a conversational, natural and personality-filled link. And here is the answer. Control. Where’s the point of reference? Examples? Explanation? Apart from some lucky individuals who passed this obstacle the moment they got behind a mic, most broadcasters flip into what we call “radio voice” or “radio mode” when performing any part of a link that doesn’t constitute talking to someone. If you can try imagine the two voices of Bruce Wayne and Batman. The “I am Batman” alter ego voice is the one we need to get rid of when doing our shows. Granted. Batman is way more interesting than Bruce Wayne – he has better toys, greater allure and a lot more people would even love to be Batman rather than Bruce Wayne. But Mr. Wayne is (sorry to shatter so many dreams) the real one out of the two. It’s the same in radio. There is an element of wanting, and sometimes even needing to shed your humdrum everyday personality for a slightly amplified alter-ego…but don’t do it for the wrong reasons. 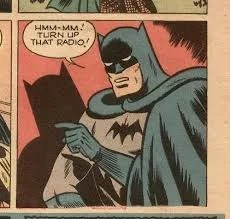 Like the Batman, you should not want listeners (or fans) to like you because you have allure or appeal that is fabricated behind a mask of who you really are. In fact, you are missing out on a really great opportunity here to showcase an amazing personality on air (after all, that’s why you have been hired to do your job in the first place) – and you’re trashing it for a trade in of some cardboard cut out of yourself just because it comes with a free utility belt and latex costume that makes you “feel” like a superhero on air. I am straying from the point of this article slightly. 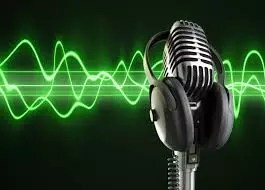 So how do you get rid of the “radio voice”, that animated, unnatural element to any thing you say on air? is where any broadcaster finds that the natural execution and “real feel” comes from thinking that you have ‘control’ of or in that interaction or conversation. Suddenly you hear a broadcaster sound like a normal human being, laughing, asking relevant questions, or organically moving from one part of the dialogue to another. All attributed to the fact that you think because you have a vested part to play right now, and by that I mean you think you are “controlling” conversation, where it’s going, what you want out of it and with whom you choose to have it – you (the broadcaster) feel confidence and power in projecting the best, “normal” version of yourself. Whoever you are engaging with is, by the way, doing the same thing. It’s common laws of communication or rather – rules of engagement. So how does this help? Along with that alter-ego you need to dump immediately, start now by saying that “control” comes from the moment you switch on the mic to say anything, you ARE speaking to someone, whether you can see or hear them, or not. Listener’s are always there, and have no reason to believe that unless you are speaking to someone in the literal sense while on air, you should be any less natural. You are in “control”, at all times. There is no fancy way you need to back announce a song, tell them the time, explain how and what you will be doing at the top of the hour or any other element of the show. Just make it sound good. And when you make it sound like you (not forgetting this you needs to still sound professional), it stops sounding good, and starts sounding great.